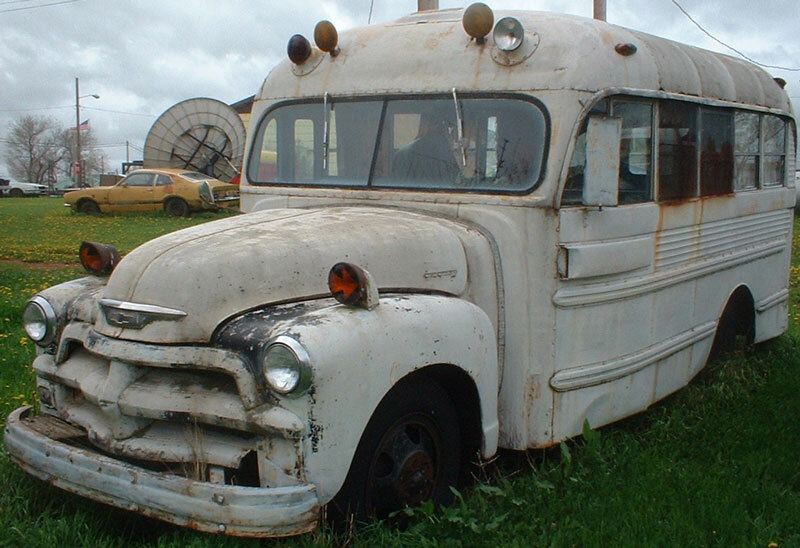 This white 1954 Chevrolet Superior Coach model 1040 16 passenger school bus/camper conversion is a fairly complete body and rolling chassis ready to be restored or customized. The bus came from the Dooley Montana school district. The left front parking light grill end has been cut off. There are small dents in the body, fenders and grill. There is no rust showing. The hood Chevrolet badges are missing. The left front red flasher lens is missing. The left front two passenger windows have screens welded on. There is a bolt-on bumper tow hitch and add-on right rear propane tank holder. The left upper stop light assembly is gone. The interior has been converted to a camper and the passenger seats are gone. The 235 CID OHV six cylinder 112 HP motor and four speed manual floor shift transmission and radiator are gone. 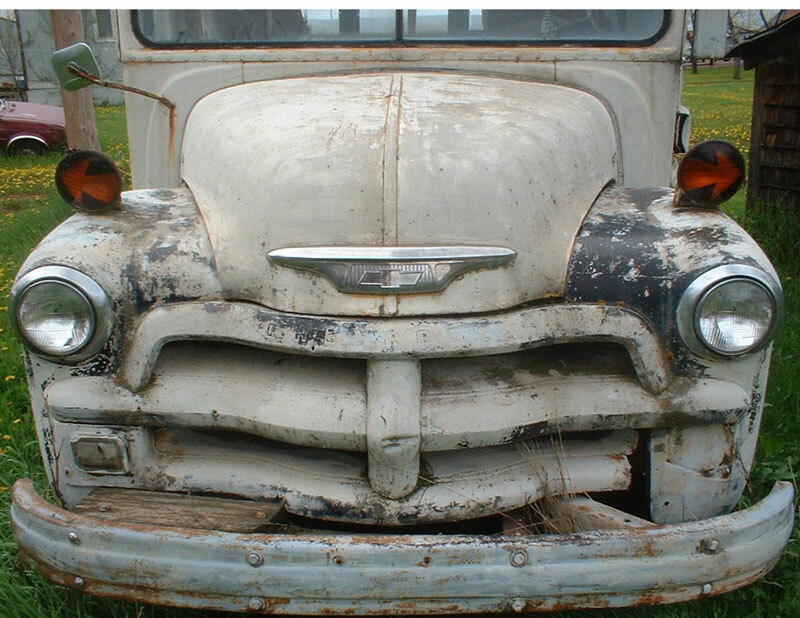 Here is your opportunity to restore or customize a 54 Chevy school bus. 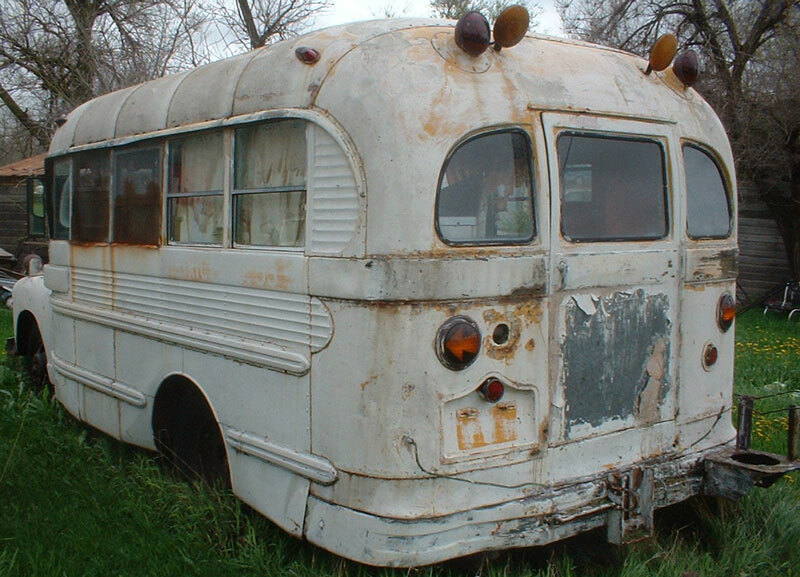 Please call (406) 318-0270 for details about this restorable classic 1954 Chevrolet project bus. For sale $4,000.